A practical work for experienced plaintiff and defense lawyers. Proven tactics, pattern arguments, common mistakes, and over 100 forms for evaluation, discovery, summary judgment, trial preparation, and mediation. 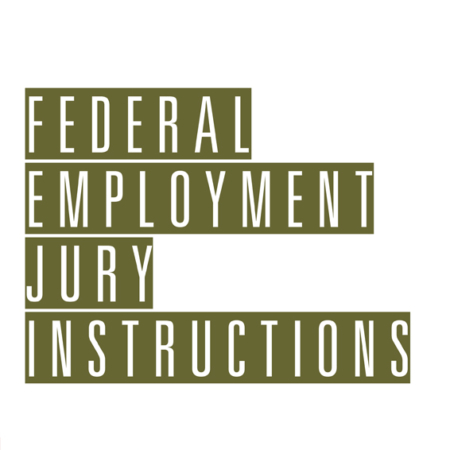 For nearly a decade, Litigating Employment Discrimination Cases has been a trusted resource for employment counsel, providing comprehensive coverage of the law, along with practice-proven tools for success. The coverage spans a wide range of topics: legal theories and proof of discrimination; case evaluation; pleading; discovery; summary judgment; alternative dispute resolution; and bankruptcy-related issues. Here you’ll find tactics, arguments, and documents to help you with the practical aspects of discrimination litigation: case evaluation, pleading, discovery, summary judgment, experts, mediation, and more. Defending employer’s efforts to interview the plaintiff. Tips and techniques for deposing discrimination witnesses. Deposition questions annotated with practice tips and case law. Questions for decision-maker, human resources professional, and investigator of plaintiff’s complaints. Requests for production of documents by type of discrimination. Handling common discovery tricks of the defense. Opportunity questions and how they should be answered. Handling common defense deposition tricks. Checklist of common hidden weaknesses in your case. Extensive list of probable defense questions to use in plaintiff’s mock deposition. Annotated with practice tips and case citations. Aggressive plaintiff deposition tactics, and when to employ them. Blocking and handling defense mental examinations. Summary judgment oriented deposition tips for employers. Drafting tips for employers by type of discrimination, annotated with pattern argument language, case citations, and pitfalls to avoid. Pattern reply brief arguments for employers, specific to plaintiff argument, including stray remark, conjecture, inconsistent declarations, smoke and mirrors (surprising difficult to defend). Handling McDonnell Douglas burden-shifting test. Common ways that defense counsel misstate the burden-shifting test. Tactics and arguments to use in response, with citations. Multiple responses, with case authorities, to use when defense argues same group inference, same hirer-firer, RIF or layoff, or stray remarks. Common defense motions in limine, with extensive case authorities on stray remarks and me-too evidence. Strategies and citations for opposing these defense motions. Common plaintiff motions in limine – not me-too, unrelated bad acts, performance problems at other employers, good deeds, and collateral source payments. The effective pleading language, cases sorted by pros and cons, pitfalls and solutions, pattern discovery requests, and common defense tricks detailed in Litigating Employment Discrimination Cases will help you stay focused on the important issues that lead to successful litigation. 9 ways to minimize “implicit bias” in your earliest interactions with potential clients. Andrew H. Friedman is a name partner in the law firm of Helmer • Friedman, LLP (www.helmerfriedman.com) in Los Angeles, California. He has practiced primarily in the area of employment law since completing his judicial clerkship in 1990. Mr. Friedman has litigated virtually every type of employment case on behalf of management, individual defendants, and plaintiffs in the California state and federal courts. Mr. Friedman has also represented both employers and employees in administrative matters pending with numerous governmental agencies, including the Equal Employment Opportunity Commission, the California Department of Fair Employment and Housing, and the California Division of Labor Standards Enforcement. In addition, Mr. Friedman has comprehensive experience negotiating employment contracts and severance and settlement agreements on behalf of both employers and employees. He has also counseled employers in all aspects of employment law including: wrongful termination avoidance; discrimination and harassment training, avoidance and how to conduct a proper investigation; trade secret protection; workplace violence; and employee handbooks and personnel policies addressing all issues that affect the workplace from at-will employment and drug testing to voice-mail, e-mail, computers and the internet. Mr. Friedman has also served as a neutral fact-finder. Mr. Friedman is a frequent speaker for various human resource and legal organizations, including the National Business Institute (“NBI”), Southern California Employment Round Table (“SCERT”), the Professionals In Human Resources Association (“PIHRA”), the Beverly Hills Bar Association, the State Bar of California, and the Los Angeles County Bar Association. Mr. Friedman has also spoken about various labor and employment law issues on “Your Legal Rights”, a San Francisco-based public radio program, produced and hosted by Chuck Finney, which covers a wide range of legal issues for California consumers.